If you hope to get any of these do not, let me stress that, DO NOT call them pasta pockets. That makes momma red in the face. 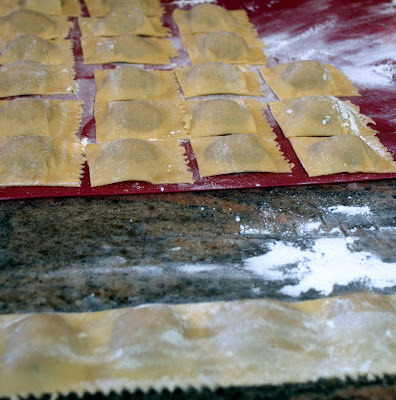 Learn to call them RAVIOLI. And don't call the red stuff red gravy. That gets you thrown out of the house. Learn it... salsa di pomodoro. 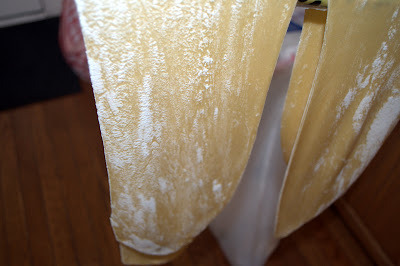 Now, assuming you said all the right things, you will get to to taste the pasta poc.... I mean the ravioli. They are to die for. The inside is delish. Boy the hoops you have to jump through to get some nibbles around here! No canned anything... Those cans have no smell anyway. And they are hard. How does one cook them? Oh what we would do for some of that!!! Looks positively scrumptious!! !xoxo LadyBug and Chloe (and the Mama too)! !